Don’t let the interest, fines, and penalties from your unsorted tax issues accrue! As attractive as the idea of ignoring tax issues is, doing so won’t make them go away. Rather than facing possible wage garnishment, bank levy, tax liens, federal summons, accounts receivable, inventory confiscation and possible jail time, talk to us today, you have options, and rights and we will make sure you get them. Our tax representation firm offers the IRS help to San Antonio residents who need to resolve their issues in a timely and professional manner. 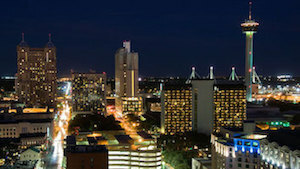 The second-largest city in Texas, San Antonio features a transitional, humid subtropical climate and remains a popular tourist destination. It plays home to the Alamo Mission, the most popular tourist attraction in the state and a UNESCO World Heritage Site. Other attractions include its famous River Walk, which winds through the downtown. In addition to the Alamo, San Antonio Missions National Historical Park is a UNESCO World Heritage Site. Determine your exact qualifications for IRS tax assistance by working with the most qualified tax representation firm. Qualification starts with the completion of complex forms requiring filing within specific time periods, something our boutique tax representation firm can easily guide you through. Take the proactive approach to tax problems and resolve them before they worsen. An often-lengthy process, it’s very challenging for the average taxpayer to deal with the IRS and be successful. 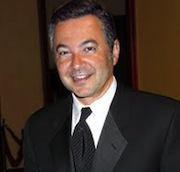 Work with Mike Habib, the tax expert who leads our firm and come up with the best solution to your problem. For more on IRS help in San Antonio, please contact 1-877-78-TAXES [1-877-788-2937] today. The tax representation firm of Mike Habib serves individual and business taxpayers in greater San Antonio, TX area, New Braunfels, Schertz, Seguin, Bexar, Guadalupe, Medina, Atascosa, Kendall, Wilson, Bandera, Bexar County, Medina County, Comal County, Texas.